I consider myself a pretty optimistic, positive person. I intuitively get the importance of positivity for my own personal sanity and happiness, and I know that a positive leader has more influence with her team. 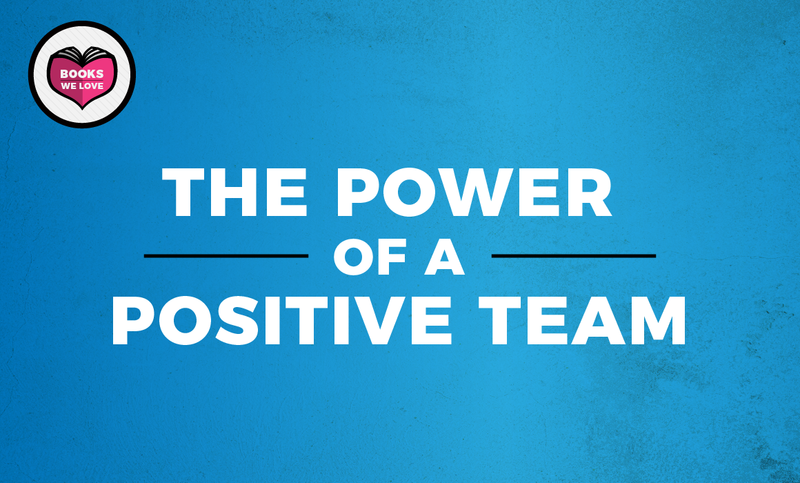 But I hadn’t really considered the power of positivity on an entire team until I recently read the book The Power of a Positive Team at the recommendation of my business partner, Karen Alter. It was an easy, energizing read and I underlined a few takeaways. The overall premise is that consistently positive teams enjoy their work, enjoy each other and produce better work. Who doesn’t want that? But getting there can be difficult, and it could feel forced. Sure, we all want to work in a more positive environment, but is it realistic to believe we can be positive all the time? Isn’t it dangerous to ignore the negative that is inevitably part of the complex world we live in? Yes, says author Jon Gordon. But he’s not advocating for a world without conflict. What’s he’s advocating for is rethinking the way we interact and what emotions we give energy to. Culture is king. Culture has to take priority in your organization. “You really do win in the locker room before you win on the field,” Gordon says. A strong culture is built on truly caring for one another and building an environment where everyone encourages each other. At Borshoff, we’ve recently created a new feature in our monthly staff gatherings – a segment we call “B Positive,” in which anyone can share praise, encouragement or positive feedback with the team. Shared vision and greater purpose will guide us. If we’re one team, we can accomplish our goals. We might disagree on how to get there, but we have to be working toward the same goal. With focus, we can work through the details to get to success. We’re being intentional in going back to our vision and values to guide our decision making as we tweak our organizational structure, set quarterly goals and push ourselves to grow in new ways. We can always improve. Positive teams are always striving to get better. We’ll have the difficult conversations we need to have, and do it all with love and respect. “To be a great team, you hold each other accountable, not to rules but to a standard of excellence,” Gordon says. Our clients expect excellence, and we should strive for it together. What could your team accomplish if everyone on the team embraced a consistently positive outlook? Interested in empowering your team with a positive vision and improved communication skills? Email us or call 317-631-6400 to chat!